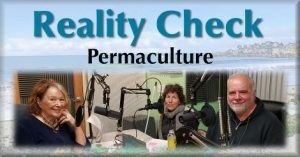 This episode of Reality Check is about Permaculture with guests Jenn Head and Gene Griffith. You’ve probably heard terms like regenerative gardening, no-till gardening, organic gardening and so on. You’ll find out about these ideas and how to work with the natural world while helping the planet, too. That’s this week on Reality Check on KCIW. 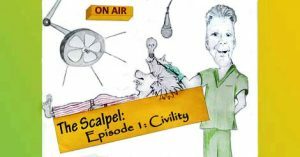 Welcome to The Scalpel, a program series where ideas are dissected, not people. In this episode, Pastor Schultz discuss worldviews. James Sire, The Universe Next Door : A Basic Worldview Catalog, Third ed. (Downers Grove, IL: InterVarsity Press, 1997). Jeff Myers and David A. Noebel, Understanding the Times: A Survey of Competing Worldviews (Manitou Springs, CO; Colorado Springs, CO: Summit Ministries and David C. Cook, 2015). James W. Sire, Why Should Anyone Believe Anything at All? (Downers Grove, IL: InterVarsity Press, 1994), 83–90. Intro and end music: Motherlode, Kevin MacLeod (incompetech.com), Licensed under Creative Commons: By Attribution 3.0. 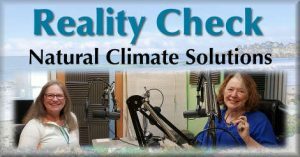 This edition of Reality Check features Ann Schmierer, Executive Director of Wild Rivers Land Trust, talking about Natural Climate Solutions – practical ways of caring for our natural environment, locally and in the larger world, that just might ensure our survival while maintaining habitat and even restoring our natural world. 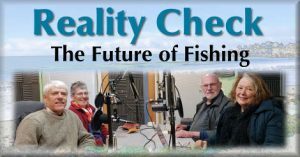 This week on Reality Check, host Lee Tuley discusses the future of commercial and sport fishing here on the Oregon coast with three marine biologists, Daphne Fautin, Bob Buddemeier, and Bill Gorham. This is a topic of concern to everyone on the Oregon Coast, whether or not you fish. That’s this week on Reality Check on KCIW, your community radio station. In this episode, Pastor Schultz discuss logic. Merriam-Webster’s Collegiate Dictionary (Springfield, MA: Merriam-Webster, Inc., 2003). Patrick J. Hurley, A Concise Introduction to Logic, Fourth Edition (Belmont, CA: Wadsworth Publishing Company, 1991). C. S. Lewis, “God in the Dock”, in the Collected Works of C. S. Lewis: Three Bestselling Works Complete in One Volume (New York: Inspirational Press, 1996), p. 485. “Logical Fallacies,” accessed July 4, 2018, https://www.logicalfallacies.info. The Science of Biology, accessed July 4, 2018, https://www.khanacademy.org/science/high-school-biology/hs-biology-foundations/hs-biology-and-the-scientific-method/a/the-science-of-biology. 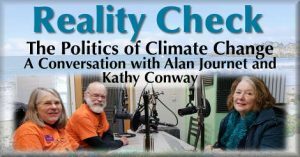 This week on Reality Check, as part of a continuing series on Climate Change, Host Lee Tuley talks with Alan Journet and Kathy Conway, facilitators from Southern Oregon Climate Action Now (SOCAN), a group of over 1,400 folks committed to addressing the problem of Climate Change. 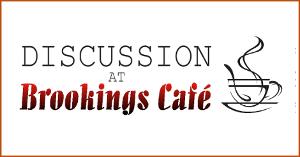 Topics include the current political situation regarding climate change, both locally and nationally. Everyone has heard of preventive medicine. What is it and what does it mean for each of us in terms of taking care of ourselves, healthy or not? 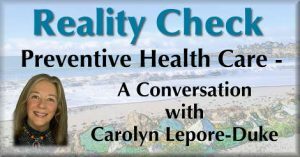 That’s the subject this week on Reality Check with Carolyn Lepore-Duke. She’s an RN specializing in health and wellness. That’s preventive health care this week on Reality Check on KCIW. Reality Check: Climate Change – Fact or Fiction? Lately we’ve had smoky skies and warmer temperatures, maybe not here, but at least in the Rogue Valley – what’s happening? Is it climate change or just normal weather cycles? 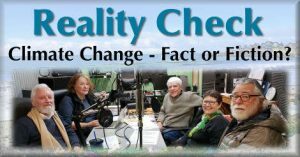 This week on Reality Check, host Lee Tuley talks with guests Dan Sherman, Edlin Patterson, Debra Worth, and Bill Gorham guests about the IPCC report from the UN and the National Climate Assessment to try to put the debate to rest.